This guide will show you how to take your sweepstakes and integrate it with CheetahMail so that you can start sending names and email addresses right into any CheetahMail list. 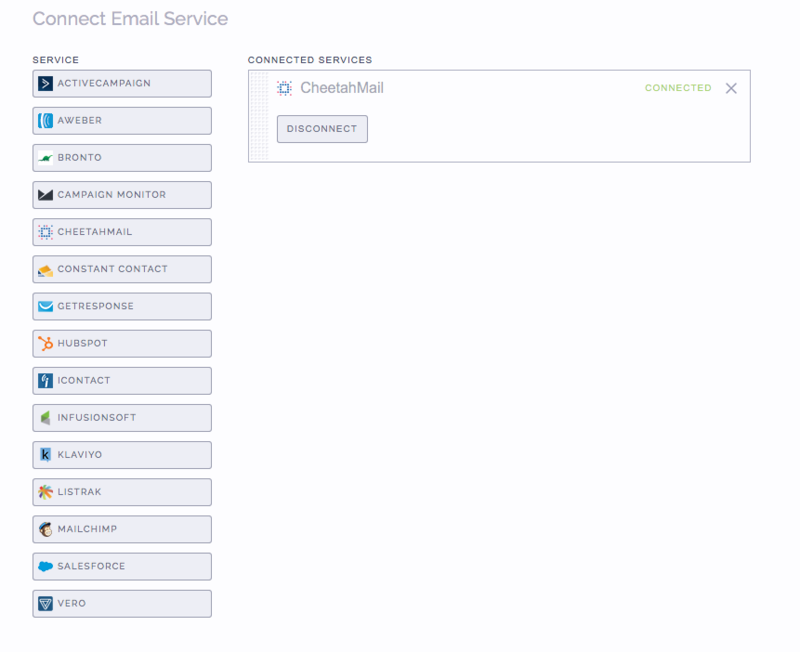 In order to properly configure CheetahMail, we need to first set up an API Client. In the 'Role' column, see if you have an API Client already set up. If you have an API Client set up, you will use that username and password to set up this integration. If you do not have an API Client set up, click on New Affiliate User in the top left corner. Go through the process of adding a new affiliate user by inputting the name, email address, and other required information. In the role section, choose 'API Client'. Click save when finished. When setting up your sweepstakes, go to the Connect Email Service section and click on CheetahMail. The connection will not work unless you are using the proper API username and password. 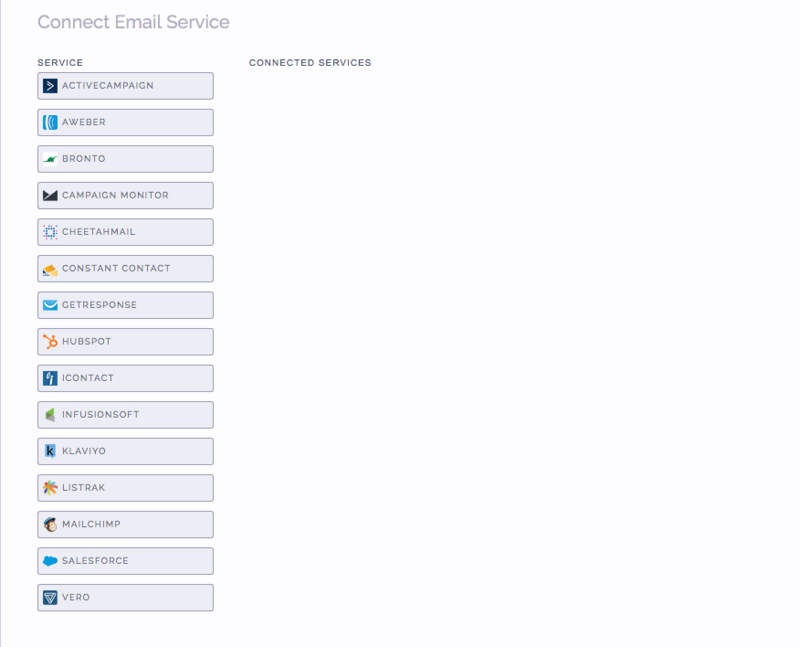 See step 1 to ensure you have set up a user with an API Client role. Input your CheetahMail username, password, and list ID and click connect. That's it, you're all set. Your sweepstakes is now connected to your CheetahMail account, and we will send any names and email addresses right into that CheetahMail list. 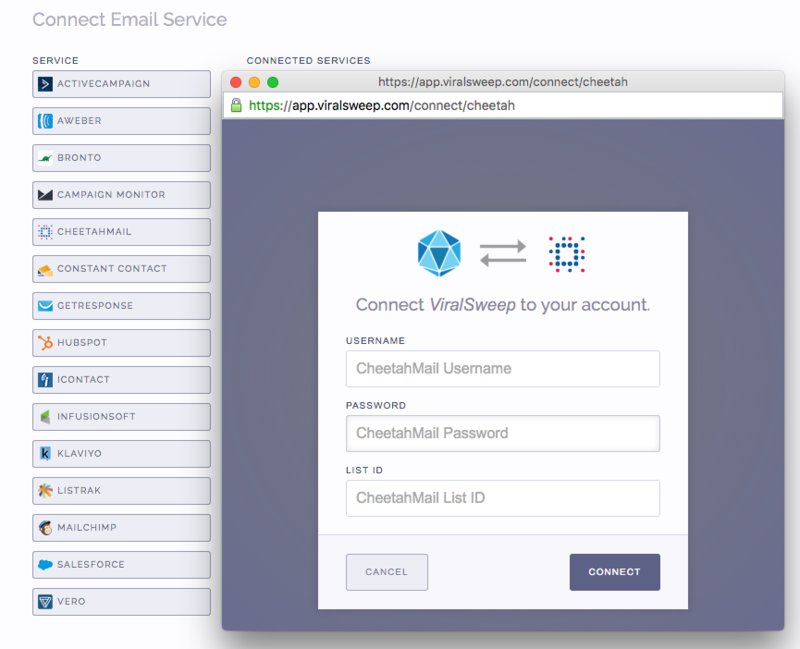 Still having trouble with connecting to CheetahMail? Simply click the support or live chat icon to get in touch with us.